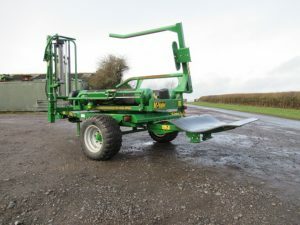 McHALE 991BE Trailed Round Bale Wrapper Trailed round bale wrapper with remote control & electric controls; 2004; 10109 bales; farmers machine. POMI Small Bale Wrapper Small bale wrapper; works behind conventional baler and leaves the bales in 3’s; comes with bale squeeze. MASSEY FERGUSON 1840 In Line Conventional Baler In line conventional baler with hydraulic bale density; 2014. 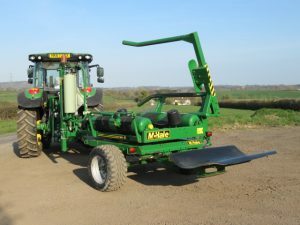 McHALE 991HS Trailed Round Bale Wrapper Trailed round bale wrapper; 2011. 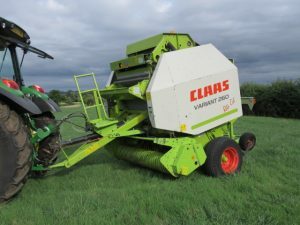 CLAAS VARIANT 380 Round Baler Round baler; smart machine; 15000 bales; 2009. 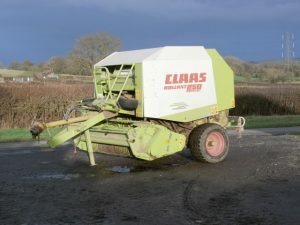 CLAAS VARIANT 260 Rotocut Round Baler Rotocut round baler; 2006; tidy. 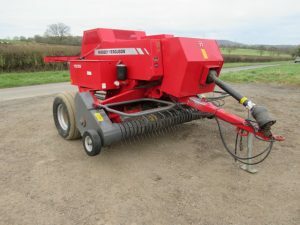 MCHALE 998 Bale Wrapper Bale wrapper with round bale kit; 2007; 18,185 bales; tidy. CLAAS Rollant 250 Rotor Round Baler Rotocut round baler with wide pickup and flotation tyres; 2000.